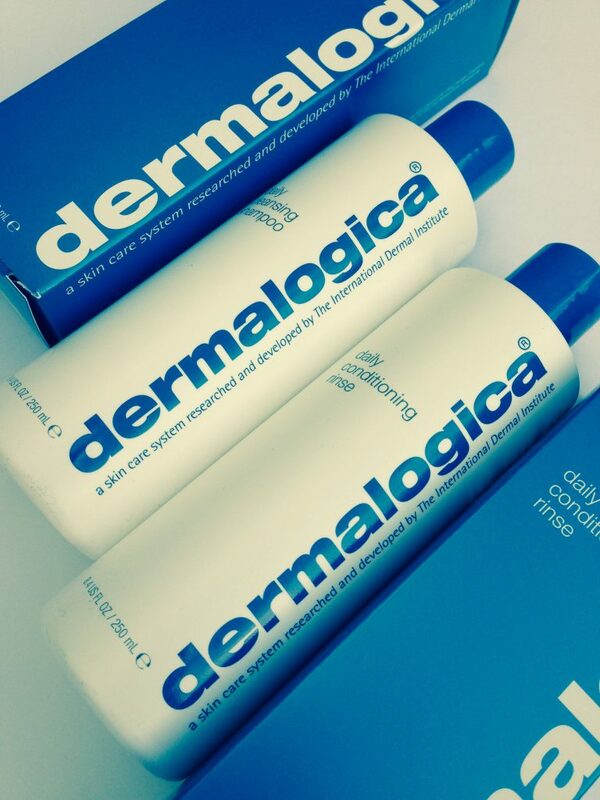 It was a surprise to me that skincare specialists Dermalogica have a hair care range. But I guess it makes sense given that your scalp is a part of your skin. So scalp and hair health is a natural progression. Let me explain my hair to you. This will be difficult, since I barely understand it myself. Some of it is going grey. I get those bits coloured at the hairdresser. So it doesn’t look grey, but it has a weird texture. The grey hairs are coarser and drier than the rest, so they have a tendency to go frizzy and spring out at odd angles. I counteract this with oil or serum, but then this can pull the hair down. Basically, we do battle every day and I’m rarely on the winning side. The really good part of using this new Dermalogica shampoo and conditioner range is that there was a marked difference is hair texture right from the first use. My hair was far less dry and far more shiny. As in, even my teenager noticed. Those of you who have teenagers will know that them volunatarily noticing something that’s not online is a major moment. So what is going on with this product? Dermalogica Daily Cleansing Shampoo: This shampoo uses antioxidant-rich argan, avocado and coconut oils to shield hair from heat and sun damage. It aims to gently cleanse while infusing the hair with shine and softness – and it does it really well. It’s sulfate-free, and combines grapefruit, lavender and geranium essential oils. I would say that the grapefruit is the top note, so you’ll be aware of it, but it’s not overpowering. It’s VERY foamy, so I found I needed much less of it than my regular shampoo. Follow this up with the sister product, Dermalogica Daily Conditioning Rinse. This light conditioner is free from artificial fragrance or colour. It contains Panthenol (Pro-Vitamin B5) to protect your hair from hairdryer heat and give it a brilliant shine. It’s blended from essential oils of lavender, geranium and Citris Paradisi peel. The added moisturizing properties of the Dermalogica shampoo and conditioner means that you probably don’t need to add anything else. I tried it with some of my usual hair oil and although it look great and shiny at first, it soon got greasy. So although these are on the spendy side for hair care, you don’t need to add in other products, plus you need to use less of them, so they are better value than you might think. Because of the presence of all those essential oils, this range would be less suited to hair which is already oily. But for dry or frizzy hair, it’s a miracle worker. 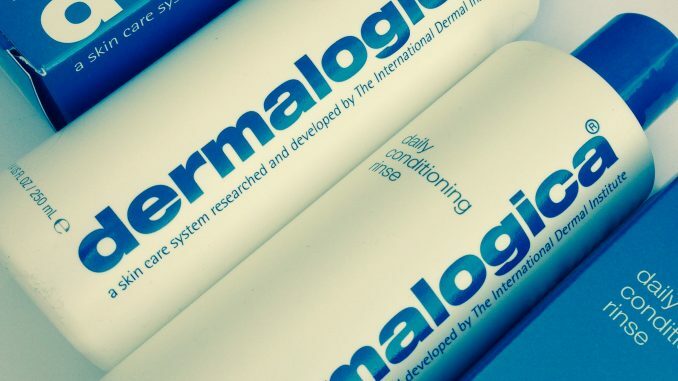 Dermalogica Daily Cleansing Shampoo and Daily Conditioning Rinse are currently available from authorised Dermalogica stockists (including Selfridges) and the Dermalogica website, currently priced around £20 for 250ml.